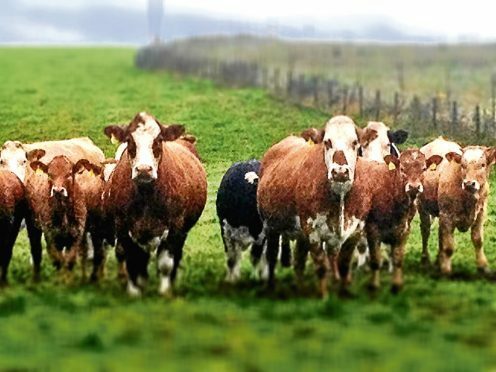 The figures reveal an improvement in the number of beef enterprises reporting a positive net margin. Farm leaders gathered in Edinburgh for an emergency meeting over the looming shortage of feed and fodder for livestock this autumn and winter. NFU Scotland vice-president Martin Kennedy, who chaired the meeting, said: “Exceptionally volatile weather over the past 12 months has made this a costly and difficult time for all farmers and crofters. That is having an impact that no one could have predicted. A list of 13 recommendations was made by the group including a call to encourage as many people to bale straw as possible, and for government to pay at least 90% of all basic payment scheme monies in October as they did last year. The stakeholders have also called on government to consider the long-term impact on animal feed supply because of the growth of anaerobic digestion plants, and for a request to be made to Europe to relax the three-crop rule requirement to give growers more time to bale straw rather than plant winter crops. The government has been asked to relax rules that require “green manure crops” such as clover, peas and oats, to be ploughed in after August 15, as these could be used for fodder. In addition stakeholders have asked sellers and buyers of store lambs to consider if, depending on grass availability, they can defer delivery of stock to a time that suits both parties, and AHDB and SAC Consulting have been asked to produce a factsheet highlighting the most efficient use of straw.